Casement Windows add character to the exterior of your house. These windows are stylish and unsurpassed in durability and beauty. Superior Security. 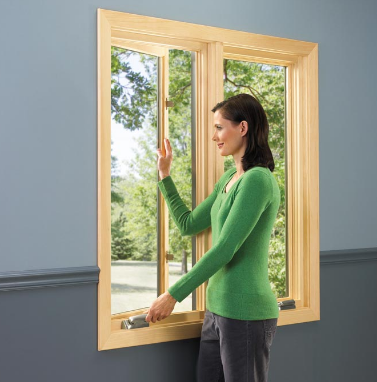 The lock system is embedded into the frame of the window enhancing safety and security. Better Ventilation capability. Unlike other types of the windows, which open vertically or horizontally, casements open completely. High Energy Efficiency. Casement windows have airtight seal. When the window is closed there is no chance of air leaks out of the house, that's like closing the door in a fridge.